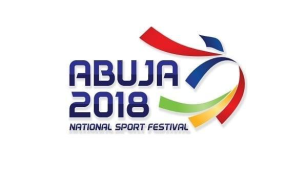 Abuja — After several postponements since the last edition in Lagos in 2012, the 19th National Sports Festival began yesterday on a colourful note at the National Stadium, Abuja with athletes from 26 states of the federation filling out for the opening ceremony. The opening ceremony was graced by the Secretary to the Government of the Federation (SGF), Boss Mustapha, Edo State Governor, Godwin Obaseki, Sports Minister, Solomon Dalung, and several other dignitaries. Calisthenics, cultural show, mini durbar, cycling exhibition and skating were on parade last night. The cultural performers danced to the tune of Afro beat Legend, the Late Fela Anikulapo- Kuti. The total number of athletes that will be participating in 40 sports at the festival is 7227. The events will be held over 10 days. The total number of delegates from all the states is 8,861. FCT stepped in as host nine months ago as the original hosts, Cross River State defaulted in organising the Games on schedule. Edo State will host the next edition in 2020 paraded the largest contingent with 591 athletes, followed by Delta, which will feature 545. Lagos has 495 athletes here at the Festival. Plateau is to be represented by 332 athletes while FCT has 473 athletes on parade. FCT Minister, Malam Mohammed Musa Bello, expressed pride that the FCT is hosting the Games of Unity. Bello said that infrastructure deployed for the festival can conveniently compare with the best in the world. The FCT minister, who earlier received the festival touch with Dalung, assured the contingents of their safety and security in Abuja during the duration of the festival.